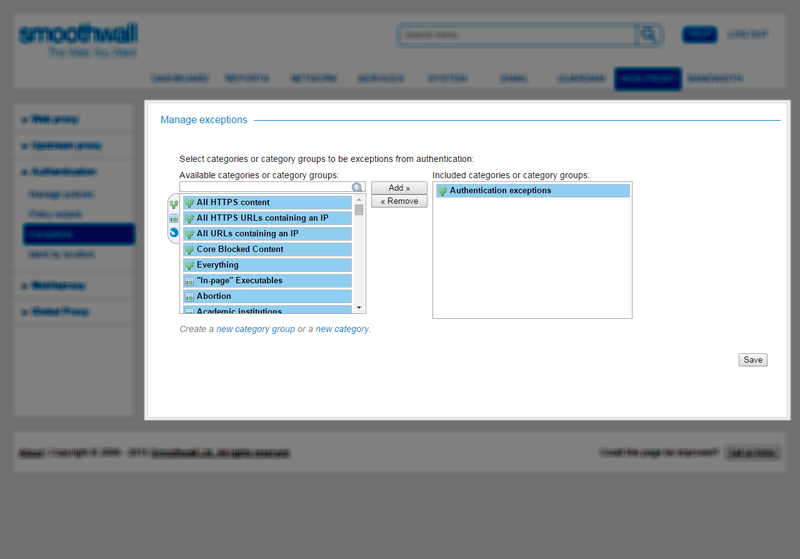 You can configure Guardian to allow access to content without requiring authentication. For example, automatic Windows updates can be accessed without user authentication. Tip: Log in to our support portal and read more about applications known not to support authenticated proxies and how to put an authentication exception in place for them. 1. Go to the Web proxy > Authentication > Exceptions page. 2. Select the content to be excepted from authentication. 4. Click Save to create the exception.